Celiac.com 02/02/2016 - General Mills seems to be having a hard time catching a break lately, especially when it comes to their new gluten-free options. After some minor good news that their new gluten-free versions of Cheerios breakfast cereal was driving a small increase in an otherwise falling cereal market, the company has found itself on the receiving end of several lawsuits. In the latest lawsuit, a Kentucky woman is suing the cereal producer over what she claims are misleading labels on their gluten-free products, including gluten-free Cheerios. In her class-action lawsuit filed Dec. 18 in the Eastern District of California, Jacklyn Haddix, on behalf of herself and all others similarly situated, alleges that General Mills, General Mills Sales, General Mills Operations, and Does 1-50, engaged in "unjust enrichment, breach of express warranty, negligence and violations of Kentucky and California consumer protection laws." The suit states that after General Mills began to advertise and distribute its gluten-free Cheerios products throughout the U.S., in September, the Food and Drug Administration received consumer reports of adverse reactions from people who had eaten gluten free-labeled Cheerios. On Oct. 5, after FDA tests of 36 Cheerios samples that certain samples contained gluten levels well above the mandated limit for products labeled gluten-free. General Mills subsequently recalled 1.8 million boxes of Cheerios. Two days later, the company revealed finished product testing had not been performed on the recalled Cheerios, according to the suit. Haddix and others in the suit seek "compensatory, exemplary, punitive, and statutory damages, plus return of purchase prices, interests, reimbursement, disgorgement, and attorney fees and costs" exceeding $5 million. Stay tuned for more developments on this and other gluten-free product lawsuits. Is Oat Sensitivity the Overlooked Culprit in Claims of Gluten in Cheerios? Did General Mills Deliberately Ignore Complaints About Problems with Gluten-Free Cheerios? As I've stated for other post ... Go certified only! I don't know how you can sue when it states on the box it is gluten removed. Not worth eating! No wonder they support the celiac foundation, the are ruining your villi one grain at a time. I agree Tara, not worth the risk to me either. Beginning the article with "General Mills seems to be having a hard time catching a break lately, especially when it comes to their new gluten-free options." is a biased position. If you want to be seen as reporting the facts, please do not use leading language like this, especially when it reveals your commitment is not to celiac patients but to Cheerios. This lawsuit is not about any ones health, its about attorneys preying upon industry trying to offer choices.. The only ones to benefit from this will be the lawyers and it may harm efforts to encourage more such gluten free products in the future. I am disgusted. I agree with amir. These company's are willing to provide gluten free products and then come along people who are willing to destroy these company's for nothing but greed. So all of us must suffer as many other company's will be watching this issue of General Mills and decide whether they themselves will continue gluten free food products. Those who want to sue need to stop thinking this is a perfect world where no one makes mistakes. Cut me a physical break! We all know that getting the big bucks from General Mills is what's behind all this. I urge others to contact General Mills to continue to provide gluten free foods. I agree with amir. Lets be a little forgiving. I'm a celiac and I want to continue to enjoy my Cheerios. we should not sue. If we sue, we won't have gluten free products available. We are lucky to have the product availability and prices that we have now. please don't ruin this for us. The point is, you thought they were providing gluten free products, but they weren't. Their testing wasn't accurate in any way, and the product that was presented as gluten free was actually adversely affecting your health. This was not a mistake, it was negligence in the part of a company that thought they would get more of your money before their deceit was discovered. Saying "we should be grateful" is undervaluing yourself and your health--if we buy these products, we deserve to receive actual gluten free food! Gluten has serious impact beyond the obvious gastrointestinal symptoms. If I get gluten, it's 3 weeks of brain fog and sometimes depression. I have passed out before due to the extreme reaction to gluten in something that was supposed to be gluten free. I know others with worse reaction. Just because all you get is a tummy ache, don't be so quick to relieve a manufacturer from liability when they failed to keep a product gluten free in manufacturing, then failed to test it, then shipped and sold their product as gluten free. "Lucky" to have their product? Seriously? They tried to exploit a gluten free market without taking the proper steps every other manufacturer takes to protect us. They put us at risk for shortcuts. I don't trust them and I WON'T buy their product. Have you never accidentally eaten gluten but probably your own fault now you can jump because you can make a quick buck? Celiac.com 09/07/2015 - Cereal maker General Mills is facing criticism from some people with celiac disease who say its gluten-free manufacturing practices are unsafe, unreliable, and leave them at risk for adverse gluten reactions. A number of celiac disease patients and others with gluten sensitivities are questioning the company's practice of removing wheat, rye and barley from standard oats, rather than sourcing actual gluten-free oats. General Mills' special method for sorting grains allegedly removes any wheat, barley and rye from the whole oats, before they are made into oat flour. A group called "Gluten Free Watchdog" has engaged General Mills regarding cross-contamination possibilities during the grain sorting and manufacturing process. The process used by General Mills to sort its oats for the gluten-free Original, Multi-Grain, Apple Cinnamon, Honey Nut and Frosted Cheerios is described in an official blog post. Gluten Free Watchdog's concerns include the reliability of testing analysis. General Mills currently uses a sampling method to test the cereal and check that gluten is 20 parts per million (ppm) or less, but Gluten Free Watchdog claims this method can result in uneven results, and that some batches of cereal may actually contain more than the allowed 20 ppm of gluten, although they haven't offered any solid examples that support their theory. To its credit, General Mills seems to be honestly engaged in the discussion, and has signaled an openness to sourcing pure gluten-free oats, which would address the concerns of groups like Gluten Free Watchdog. What do you think? Should General Mills be using gluten-free oats for their gluten-free products? Is it okay if they use regular oats and special sorting equipment to ensure the final oats are under 20 ppm, as required by law? Share your thoughts below. Celiac.com 12/09/2015 - Less than a month after General Mills announced a recall of nearly two million boxes of gluten-free Cheerios and Honey Nut Cheerios, the company is facing a class action lawsuit alleging it violated several consumer protection laws, and put consumers at risk. The complaint, filed in the eastern district of California on October 30 by plaintiffs Keri van Lengen and Deborah Nava against General Mills and Roxanne Ornelas (manufacturing manager at Gen Mill's Lodi plant), accuses General Mills of selling misbranded products; in this case, cereals advertised as gluten-free which actually contained gluten. It adds: "Plaintiffs and Class Members have all suffered and will continue to suffer harm and damages as a result of Defendants' unlawful and wrongful conduct." "Our Lodi production facility lost rail service for a time and our gluten-free oat flour was being off-loaded from rail cars to trucks for delivery to our facility on the dates in question. In an isolated incident involving purely human error, wheat flour was inadvertently introduced into our gluten-free oat flour system at Lodi. That error resulted in an undeclared allergen – wheat – being present in products labeled as gluten free at levels above the FDA gluten-free standard." Murphy went on to reassure consumers that the company's oat supply was safe, and that their gluten-free flours are pure. The post goes on to assure consumers that the company "tested our oat supply on these dates – and the oat supply tested as gluten free. We also tested the specific oat flour being used at Lodi – and our oat flour supply also tested as gluten free on the dates in question." The post closes by noting that General Mills is testing all finished product…[and has] instituted additional flour handling protocols at all facilities to ensure this will not happen again. Stay tuned for new developments or related news on gluten-free products from Cheerios or General Mills. Celiac.com 12/16/2015 - Just a month after General Mills recalled nearly two million boxes of gluten-free Cheerios from store shelves and warehouses due to "inadvertent" gluten contamination, the company and its flagship brand Cheerios are facing yet another public relations challenge. General Mills is being sued for false advertising by a major consumer watchdog over its Cheerios Protein cereal, introduced in March, 2014, as a "healthy alternative" to both classic Cheerios and other breakfast cereals. 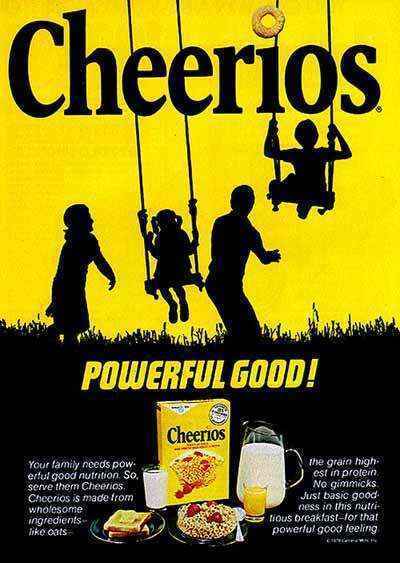 According to an official complaint filed with the Northern California District Court by the Center for Science in the Public Interest (CSPI), "General Mills falsely and misleadingly markets Cheerios Protein to children and adults as a high protein, healthful alternative to Cheerios." According to General Mills’ official marketing language, Cheerios Protein "offers the benefits that go along with starting the day with 11g of protein and the great taste of Cheerios that kids and parents already know and love." According to the CSPI, while Cheerios Protein does contain a tiny bit more protein than classic Cheerios, General Mills has nearly doubled the recommended serving size for Cheerios Protein, making its protein content seem much greater than it actually is. So, while the "recommended serving size" of original Cheerios is 28g, the recommended serving of Cheerios Protein is 55g. When you crunch the numbers, Cheerios Protein only has just 7/10 of a gram more protein than regular Cheerios, hardly a major source of protein, or a major improvement over regular Cheerios. In their complaint, CSPI is accusing General Mills of engaging in what amounts to marketing sleight-of-hand, to trick consumers into paying an average of 70 cents more per box than other brands of Cheerios, for a product that contains an insignificant amount of extra protein, but 17 times more sugar than classic Cheerios. Yes, even though they have about the same amount of protein by weight, a serving of original Cheerios contains just 1g of sugar, while a serving of Cheerios Protein will give you a whopping 17g of sugar; about the same as half a can of Coke. Basically, eating two bowls of original Cheerios will give you about the same amount of protein as Cheerios Protein, but with far less sugar, and at a lower cost. That's where the lawsuit comes in. Basically, CSPI is hoping to use the courts to pressure General Mills to remove or revise their marketing cliams, which CSPI says, are little more than smoke and mirrors. Stay tuned for the latest developments on this and related stories. Celiac.com 01/21/2016 - With sales of non-gluten-free cereals enduring a slow, consistent downward slide in just about every category, gluten-free cereals have been one of the few bright spots for cereal manufacturers. In an effort to combat those falling cereal sales across its existing product line, manufacturer General Mills released five gluten-free Cheerios products. Initial results suggest that their plan is working, at least somewhat. According to General Mills, sales of non-discounted, full-price gluten-free varieties of Cheerios grew 3% to 4% last quarter, offering the fist improvement after multiple quarters of declining sales. This is particularly good news for General Mills, as it follows on the heels of an embarrassing recall of 1.8 million boxes of Cheerios and Honey Nut Cheerios in October, shortly after the introduction of their gluten-free varieties. The company chalked that issue up to "human error." So the fact that the latest numbers are strong so soon after a major product recall suggests that gluten-free Cheerios might just be the ticket for turning around their slumping sales. What do you think? Have you tried gluten-free Cheerios? Will you? Are you happy that major companies like General Mills are making gluten-free products available?